Josh W from the USA first wrote rather intemperately about the alleged fake qualifications of creationists. However, had he followed our feedback rules these would have shown that the scientists working for CMI indeed have the qualifications they claim, and what’s more, from genuine secular universities not degree mills. The same is true of the vast majority of creationist speakers from around the world. 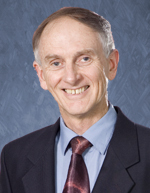 Dr Carl Wieland, managing director of CMI–Australia, in a fairly gentle rebuke, pointed out that it was not fair to accuse CMI creationists of having faked qualifications without finding out first. But JW’s second email was in a good spirit, though still lamenting the dispute between old-earth and young-earth creationists. Dr Wieland’s reply points out the role of presuppositions in this debate, and recommends further reading. Some editorial comments have been inserted in square brackets , mainly to direct readers to further supporting documentation. Comments: It deeply concerns me your “Who are we” section does not list the schools in which your personnel received their degrees. First, a statement for the record. All of CMI’s speakers who list degrees in their biographies, or advertise degrees or titles in CMI publicity, have such degrees as earned ones, from recognized secular (state) institutions. Next, I will try to understand and respond to what could possibly have triggered such an approach from a professing believer. Our ‘Who We Are’ section is meant to be the briefest of brief outlines of the personnel. Their names in that section are hyperlinked to their speaker biographies, which list degrees as a rule, and those are in turn linked to more extended ‘long’ biographies. When I checked those long biographies as a ‘random sample’, three out of the three I checked made it clear which university the degree was from [and a number of them list many of their published papers in secular journals]. Maybe I should be understanding of possible cultural differences. Remember, the parent ministry is Australian, and here we are not challenged re non-accredited schools, etc., maybe because this is just not a phenomenon here as in the US. I.e. there are only a handful of universities, and personally I know of no ‘diploma mills’. I am not suggesting that Australians are necessarily a more honest people, but perhaps the size of the potential marketplace is just not large enough to have viable diploma mills. [One of our scientists earned his doctorate in New Zealand, for which these points apply at least as well]. Also, most people we talk to in church services would just naturally (and correctly) assume that we would not dream of listing accomplishments that were not bona fide, etc. Perhaps also the reality is that Australia is so much smaller, with so few major universities by comparison with your country, that people realize that if we did not have the degrees in the normal fashion, we would be so rapidly (and rightfully) exposed that the whole ministry would lose credibility virtually overnight. Your biographies contain only a small bit of background information and show little prior research or accomplishments. I’m not sure that you actually read the biographies on our website [certainly not the long ones that often list patents, papers, research fields]. But may I say that where these are brief, (though not as brief as the ‘Who we are’ section) some of this may actually be a reflection of proper Christian humility. One can really ‘overdo’ such things. How can this be a good practice with so much prior fraudulent acitivity within the creation community, especially concerning unaccredited schools, degree mills, and honorary degrees? However, even if we had listed our institutions (I don’t think my biography mentions that I got my medical degrees from Adelaide University [it does now], but it does say that I practised medicine for years, and was president of the Christian Medical Association, so I think we presume that people will not jump to the wild idea that I was doing all this with a fraudulent degree), would it not be true that the same situation arises, i.e. you and others would have to assume a priori that I am telling the truth about this, too. And if your response should be that it is then easy for you to check, mine would be that it would have also been easy for you to simply ask us and then do the check, rather than what comes across as an ‘a priori’ assumption that we are probably engaging in misrepresentation. In other words, I am saying that there would seem to be a lack of proper balance re the onus of proof. In life generally, I would have thought that we assume that people mean what they say unless there is reason to think otherwise. If your response should be that, as you stated above, there has been ‘so much’ fraudulent activity, I would suggest that this is an unfair caricature. In the same way, when an evolutionist publishes his/her research results, my first assumption is that these have been honestly reported. Even though there has been ‘so much’ fraudulent activity among evolutionist researchers [e.g. the Haeckel embryo fraud and Archaeoraptor, and the borderline case of staged peppered moth photos], I recognize that it is still a minority phenomenon, and I do not unfairly tar all evolutionists with the same brush. NO-ONE currently employed by and speaking for CMI worldwide has ever advertised a degree which has not been earned in a recognized and fully accredited institution; in fact to my knowledge all are from secular bodies. So even though there are some rotten apples in the barrel of creationism, to my knowledge the overwhelming majority of the creationist community ministering worldwide in organizations are decent folk not engaging in fraudulent activity, and hence it behooves you to be gracious, as a believer, to apply the same criterion to your fellow Christians. I.e. the first presumption should be, I suggest, assuming the best, and not the worst. Simple logic would suggest, too, that the more wellknown and long-established an organization is (in our case over 25 years), especially with many scientists in it, the less likely it is that it would be fraudulently misrepresenting degrees. For the record, to the best of my knowledge, NO-ONE currently employed by and speaking for CMI worldwide has ever advertised a degree which has not been earned in a recognized and fully accredited institution; in fact to my knowledge all are from secular bodies. How can I trust ANYTHING within your organization? As Christians, are we not supposed to remain transparent? Of course. I suggest we try to be this at all times. How can your organization maintain even the slightest respect with this type of deceit? That seems a massive leap, especially given the nature of my comments above . And if it is not deceit than how could such a glaring detail escape the attention of highly intelligent scientists? It gives me no pleasure to point out that, even were it not for the fact that we do have those biographies that you have apparently not looked at, you have really painted an incredibly narrow set of alternatives; you seem to be suggesting that the only two options are either that our guys are not highly intelligent scientists as they purport to be (which means that they are engaged in deceit for presenting themselves as such) or that they are engaging in deceit. Heads you win, tails we lose, it seems. Perhaps a kinder, more Christian approach would have been to first ask, and then accuse if your subsequent enquiries show that we do not have the degrees/credibility we claim (which we do). As indicated, such an enquiry would have probably settled things for you anyway. I am a Christian and I am so deeply saddened and shaken by the behavior of those of you who are in the public eye. I can understand some of that. It saddens me too when there are such things in any part of Christendom, and there are indeed many things in my 25 years that have shocked and distressed me/us too. Creationism is not immune from all manner of manifestations of fallen humanity, including pride, greed, power-hunger, commercial ruthlessness, etc. etc. I am sad to say. This ministry itself has suffered unjustly from the actions of some within the movement. But that does not even come close to justifying your approach here, may I gently point out. As I delve further in my own research of creation science and its leading proponents, I find corruption at every turn. Why? It is so unnecessary. God is SO visible within the fabric of our lives. TRUE evidence for His creation DOES exist. How can I successfully defend my point of view to others when the leading creation organizations and scientists are SO corrupt. This behaviour makes all Christians appear so ridiculous and stupid. Do you care? You guys break my heart. Yes, I care, and so do my colleagues in CMI, very much. Integrity has to be number one, or all we do is for nothing. I have long said that ‘creationism’ or ‘creation science’ should not be seen as some sort of separate thing—it is about Christ, the Bible, the Gospel—and the entire authority of the Word, which is all about truth, justice, integrity, etc. And it breaks my heart too. But I would have to ask whether you care about this inappropriate attack here? At least you contacted us about it, but I suggest it would have been better to wait for the response before launching into an intemperate assault based on presuppositions which do not stack up with the facts, nor with the charity we are supposed to extend to one another. When we publish this, as is likely, on our website feedback section, we will do so as a teaching exercise, we won’t identify you so it won’t harm you. But imagine the harm that could happen if someone were to see a copy of your correspondence to us in isolation from the response? But I would like to end on a charitable note, and a positive one, and that is to thank you for at least having contacted us, which I genuinely appreciate. If indeed we had not had any of the university names up there, at least your contacting us would have given us the opportunity to correct such an oversight, despite the disturbing way in which it was phrased. I hope you understand, and will for my part assume that you meant no harm. Thank you very much for taking the time to answer my letter. Your response was not only timely but comprehensive. It means very much to me Please excuse me for responding back to your personal e-mail. I do so without any expectation for a continued correspondence. I hope I can be somewhat brief in clarifying my position and mindset to you. I am a believer and should have utilized a different approach in my previous letter to you. I am sorry for its tone and decidedly unwarranted, accusatory nature. I have spent the last week and a half engaging non-believers in a debate concerning the viability of Christianity on a public mixed martial arts internet forum, mma.tv. I have been bombarded with arguments by a rather large number of non-believers. I wrote my letter to you in the middle of the night while I was particularly angry and tired after being repeatedly disparaged on this forum. I had also spent hours scouring the web and locating what seemed to me various improprieties within the creation science community. I do not mean for this to be an excuse, just an insight to my mindset at the time. I am deeply sorry and did not intend to take my feelings out on you. I was embarrassed upon re-reading my letter today. Please accept my insights below as a much better representation of what I meant to express. Sure; thanks for the apology and explanation, it’s much appreciated and understood. I have frequented the Internet as a resource particularly vigorously during this debate. I have noticed a large amount of atheist and anti-theist websites solely designed to discredit creation scientists. Some of these sites have posted a claim that a fraudulent education record exists for some purported creation scientists (none that I have found within your current organization). Several of these sites also posted a list of self proclaimed unaccredited Christian colleges where many of these scientists have received correspondence doctorates and other dubious degrees. I cross referenced much of this information and found it to be credible. Many of these universities are known for being “diploma mills”. I also learned some of these pseudo scientists are formerly associated with reputable creation organizations, namely AIG. I checked the biographies listed on your website and was disappointed to find what I considered to be less then thorough biographical information. I believe it would be a great benefit to the secular reputation of your organization and its scientists to prominently display a comprehensive listing of education records and past research accomplishments. I understand that some of this information is present, however I believe it could be easily argued by skeptics and detractors that important information is lacking. If you were to look at a biographical section for a secular scientific organization I believe you will see much more extensive background information listed. I understand your goals probably do not include impressing the secular scientific world. I also understand that no matter what you do you will continue to be unfairly persecuted by the secular scientific community. Still, listing the full extent of your scientists’ biographies would remove some of the ability of your detractors to disparage you and the Christian community. Actually, we have had attacks by skeptics galore, but never on this aspect to my recollection all these years. Most realise that secular state universities in Australia and NZ, though few and far between by comparison with your own land, are all of substantial reputation. The University of Sydney, University of Adelaide, University of Queensland, Victoria University in Wellington, etc. So while the advice is appreciated and I now regard it as being in the category of loving concern, with so many other things to take our attention and spend our limited personnel time on, I would probably be putting the idea of adding to our web bios on the low priority list at present. If any skeptical attack tried to take that approach, they would rapidly get egg on their face, and most know it. A system of accreditation may not exist in Australia, but with the proliferation of information through the Internet, we are truly a global community. Would some type of reference to the reputations of your respective schools and the reasons for a lack of an accreditation system be appropriate? I may have not explained things properly here—the issue is not that they are not accredited—they are—but that we don’t seem to have the problem of non-accredited ones as in the USA. We only have a handful of states by comparison with yours, but the capital city of each state typically has three or four publicly funded universities. A Ph.D. from any of them is regarded as totally ‘kosher’, it is a non-question, in that sense. And regarding the non-Australian CMI graduate scientist/speakers, e.g. Dr Robert Carter in our Atlanta office, their universities seem to need no defense or introduction— I hardly think that anyone would think that our simply saying that Dr Carter’s Ph.D. is from the University of Miami needs us to point out that it is ‘accredited’ [and the list of papers, grants, awards and patents on his long bio should silence criticism]. And Dr Emil Silvestru from Canada would hardly have been given the position as head of the world’s first and oldest speleological institute if his Ph.D. (from a major state university in Romania) had been suspect [and his long bio has an extensive list of papers in his specialist area of karstology]. I also wonder why Hovind was not admonished and discredited long ago by Christian leaders? 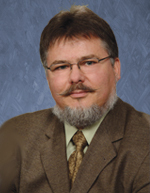 CMI’s scientists have no personal beef with Kent Hovind, though we have tried to persuade him for a long time to not have seriously discredited (and some fraudulent, like the Wyatt discoveries) arguments on his site, nor to link creationism with things like his esoteric notions on tax. But that is not in any way implying that Kent Hovind was consciously being fraudulent—I tend to think he was seriously misled by the Wyatt frauds. 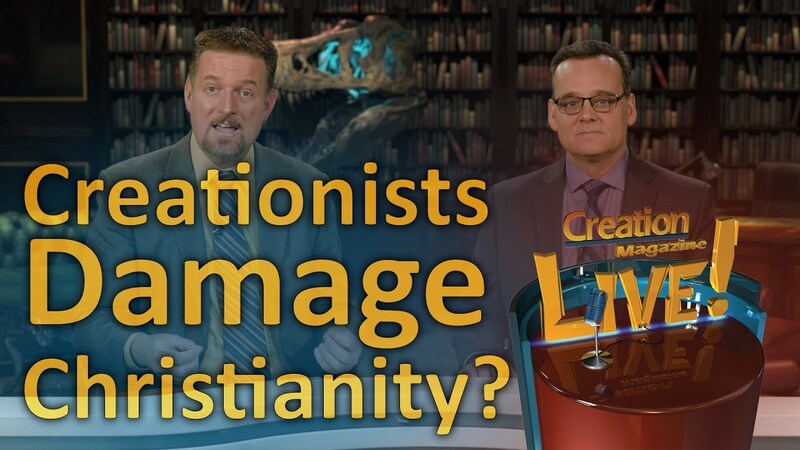 The article Maintaining Creationist Integrity deals with these matters. We think we might have used a different tone here and there (remember that Antipodeans can come across as more blunt to North Americans than we think we are being) but do not have any reason to modify the thrust otherwise. There also exists the problems between young earth and old earth creation science. Respectfully, I would not class Dr Ross as having anything to do with creationism per se. Anti-evolutionism (and then only in the narrow sense of biological transformism), yes, but not an affirmation of biblical creation in any meaningful sense of the words [since he accepts both geological and astronomical evolutionism] (see later re the book Refuting Compromise which makes this clear). The relationship of Dr Hugh Ross with yourself, Dr Sarfati, Dr Russell Humphreys, Dr Faulkner, and Ken Ham seems to be particularly derisive and somewhat mean spirited on both sides. The arguments located on the websites of Reasons To Believe, CMI, and AIG seem at times to discredit everybody. There are negative critiques about Dr Ross on each of the young earth sites, and vice versa on Dr Ross’s site. You each bring into question the others professional abilities and qualifications. I would gently ask you to back this up by showing where we do this, as opposed to us questioning his reasoning, conclusions and in some areas, competence. I do not recall any instance where we have ever questioned his qualifications. Does he question ours? I hope not, but I do not spend time trawling his site, I confess. Obviously the difference between young earth and old earth science is huge and virtually irreconcilable. I am myself undecided whether young or old creation science is right. I am conflicted, as I cannot intelligently believe all secular scientists have an agenda, therefore why would such methodology as carbon dating be almost universally accepted. The belief the earth is millions of years old is also a majority belief among secular scientists. 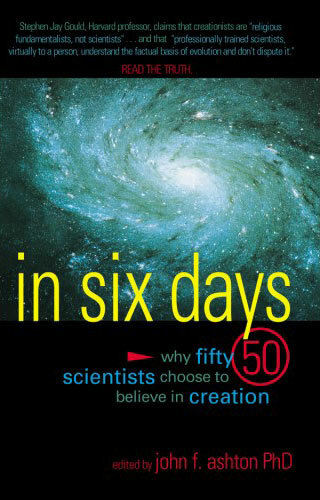 I also side with young creationists’ assertion of the importance of a 6 day creation in relation to original sin and the relevance of Jesus’s sacrifice on the cross. I understand your conflict, but there are some misunderstandings apparent in what you write, including that you appear to be still partly buying into the ‘science vs the Bible’ concept. No-one is saying that there is any coverup of facts by secular scientists, due to some sort of an agenda. Well, we certainly are not [see for example this discussion]. Carbon dating is actually the creationists’ friend [see Diamonds: a creationist’s best friend: Radiocarbon in diamonds: enemy of billions of years]. Perhaps a further scan of our site might help, but mostly I think you would be enormously helped by Dr Sarfati’s book Refuting Compromise. I think you would be more aware then of the philosophical issues involved in this whole area, which has a great deal to do with the interpretation of results. 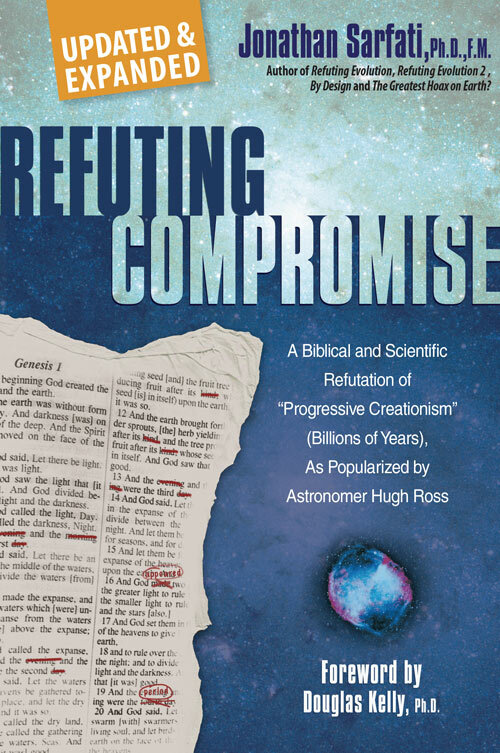 Even though the book’s framework is a critique of Rossism, it actually tends to serve to take the heat out of the argument by dealing with the appropriate use and place of science for Bible-believing Christians. If I did not have the miraculous personal experiences of my salvation, a later physical experience of God’s presence, and personal observation of a friend’s transformation immediately after salvation, I believe my faith would be shaken to its core by the schisms in the creation science community. Thank the Lord He gave me those experiences. This letter is definitely longer then intended. I again apologize for the overall tone of my previous letter. I am embarrassed by it, your returned kindness has disarmed me. I know I have made multiple suggestions and probably incorrect assumptions which I hope do not come across as disrespectful.